SnapCacklePop: Has Jessie J done this before? Has Jessie J done this before? 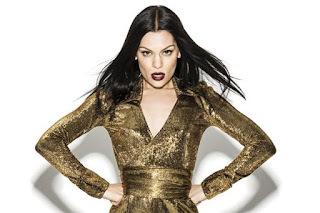 As she nearly wraps up her judging role on The Voice Australia, Jessie J drops new single Ain't Been Done on the TV show as the fourth official single from the singers album Sweet Talker. In the live performance, she is joined by The Madden Brothers as she belts out impressive vocals to the new single - check it out here, however even more impressive is this acoustic version where she just delivers vocal gymnastics like only Jessie J can. It may sound like its been done before however its Jessie J trademark style, uniqueness and vocal punch, that will make this another hit. Get your copy on iTunes now and check out the lyric video below..!